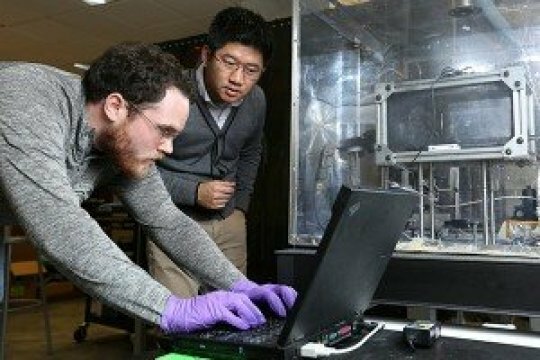 In the journal, Advanced Materials, authors Dr. Heng and Dr. Xian Huang both a S&T faculty at Missouri University of Science and Technology show a low-cost laser printing process using nanoparticles to produce electronics. Bioresorbable components, also known as transient hardware, that use customary microchip process require expensive optical designing. On the other hand, using laser printing cut the costs effectively but creates unfavorable reactions of ingredients such as zinc and magnesium to other elements like oxygen and nitrogen. The new procedure takes into consideration for zinc nanoparticles to be sintered together through a dissipation that avoids surface oxides. On the report, the oxide-free zinc showed high electrical conductivity, mechanical strength and water dissolvability. "The new method can direct-print patterned zinc conductors on bioresorbable polymers with conductivity close to bulk values," Pan says. "And the fabricated patterns on bioresorbable substrate can be readily integrated with high performance electronics. "Pan also considered stretchable and wearable electronic devices. Want to know more about this awesome device? Follow this Link!